Paul Rabinowitz Glass company was again a proud sponsor of this year’s Outward Bound Building Adventure held at Commerce Square on Friday October 21, 2016. Outward Bound is a non-profit, education organization that serves people of all ages and backgrounds through challenging learning expeditions that inspire strength of character, leadership and service to others, both in and out of the classroom. 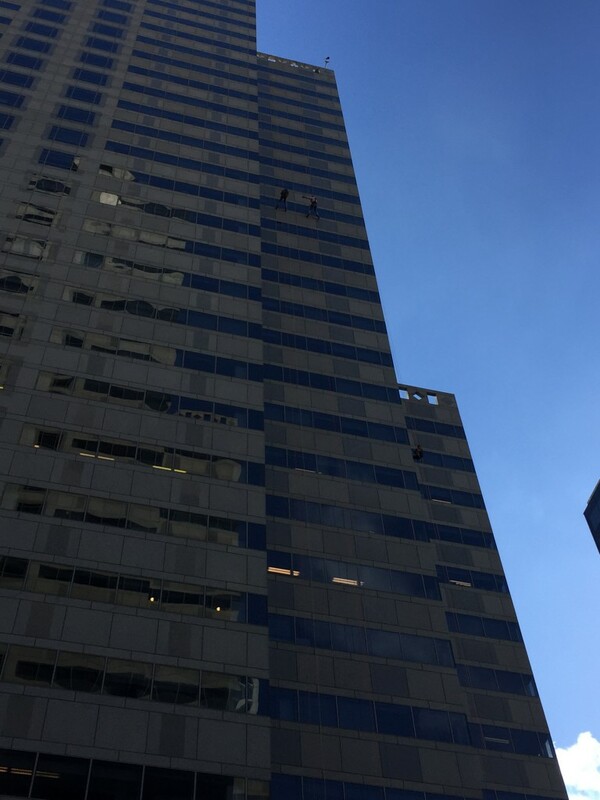 To raise money and awareness for Outward bound many braved the heights as they rappelled 315 feet down the side of Commerce Square, certainly a great challenge for many!